In his book, How to Become a Rainmaker , Jeffrey J. Fox points out a study of salespeople who make more than a quarter million dollars per year in commissions. The study found that highly successful salespeople have an interesting common characteristic. They tend to implement new ideas very quickly. If they go to a seminar or talk to another great sales person with a keen insight, the very next sales call they go on, they’ll give it a try. If it works, they keep using it. If it doesn’t, they drop it. This is the core idea behind A/B Split-testing. It’s a continuous passion and pursuit of getting better and better at every stage in your Optimized Marketing Funnel. Form a hypothesis to determine where a web page can be improved and why. Create a new landing page based on your hypothesis and split the visitors between the Original (version A) and and the new page (version B). Measure the percent of visitors to each Version complete a web form or call. Apply some math to determine if the difference in results between the 2 Versions can be explained by random chance or if there’s a high probability that the better Version truly will outperform over the long-term. Form a new hypothesis and launch a new experiment. 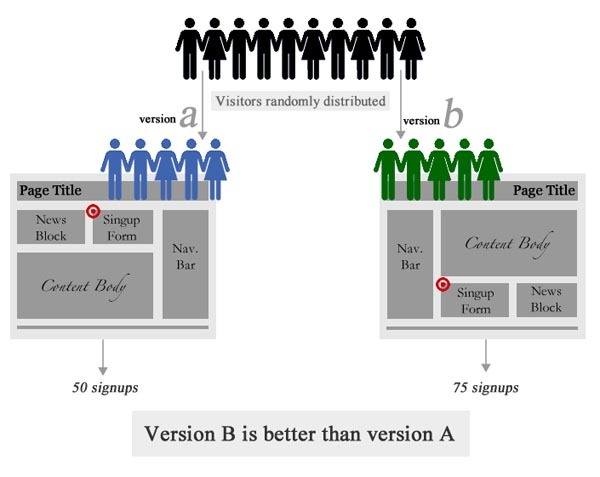 Here’s a visual example of how an A/B split-test works. 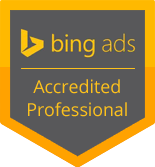 What that means is, over the long term, Version A has a 95% chance of generating more conversions than Version B. It does NOT mean that over the long term it has a 95% chance of being 47% better. The confidence level simply tells us if it will be better or worse but NOT how much better or worse. A truly optimized marketing and sales funnel will split-test each step in the sales process. In a perfect world, you could split-test every touch with a customer. However, in the real world, your most efficient method of split-testing is online where you can quickly and cost-effectively split-test and then apply those lessons to other facets of your business. Split-testing is a core part of any optimized web presence and you’ll love the results you see when you start doing more of what your ideal prospects want based on your experiments. P.S. The hardest part about A/B split-testing is forming the hypothesis in Step 1. You need a consistent process for evaluating web pages to find areas of weakness that you can improve. Without a proven methodology, your testing is random. This is a problem because there are an infinite number of ways to hurt your website’s performance by running poorly structured experiments.